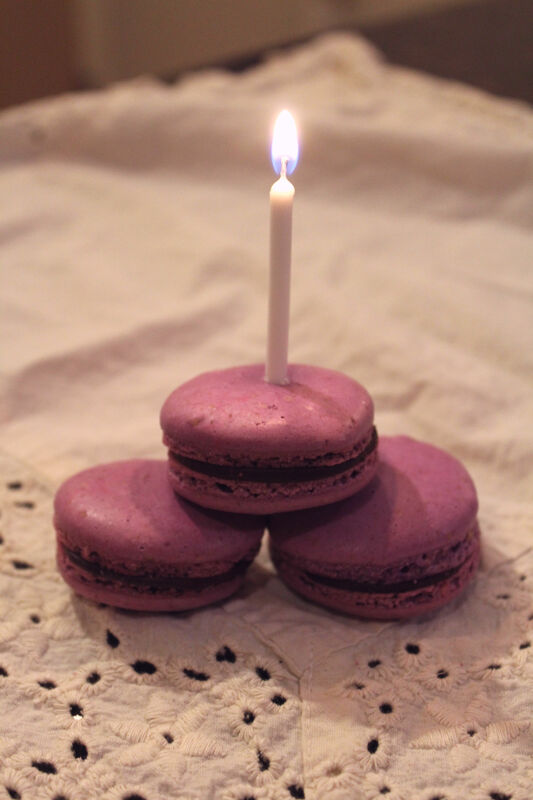 Today the blog is one year old and as a (somewhat) gift to myself, I made macarons. This was a great gift because I love these amazing little French cookies but this gift was also a terror. 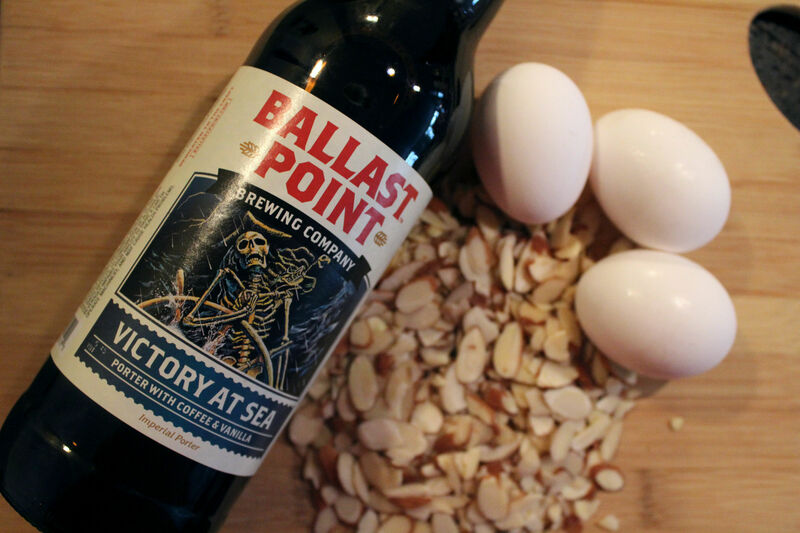 After a year of cooking with beer, I’ve gained quite a bit of confidence in the kitchen although at times, it may be better labeled as hubris. 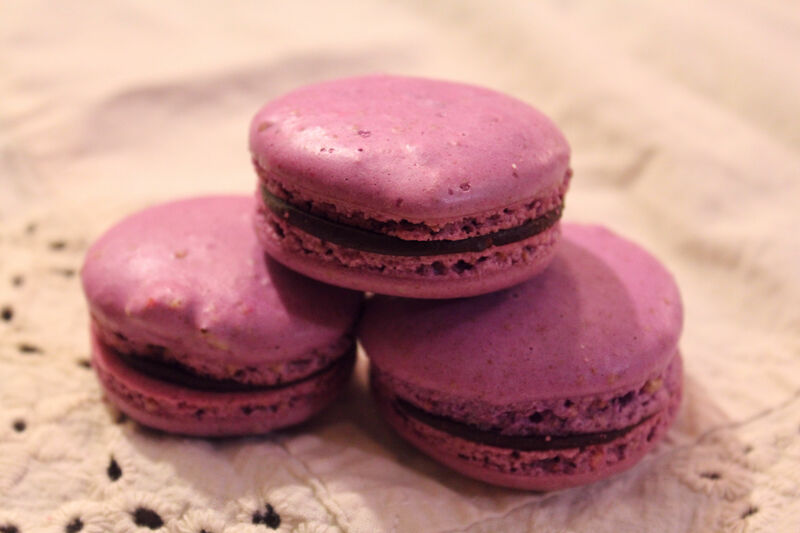 For example, I told myself that I would be able to execute making macarons successfully on my first try. Ohhh no no no. I should’ve known these tiny devils were going to give me a hard time and totally mess up my kitchen. 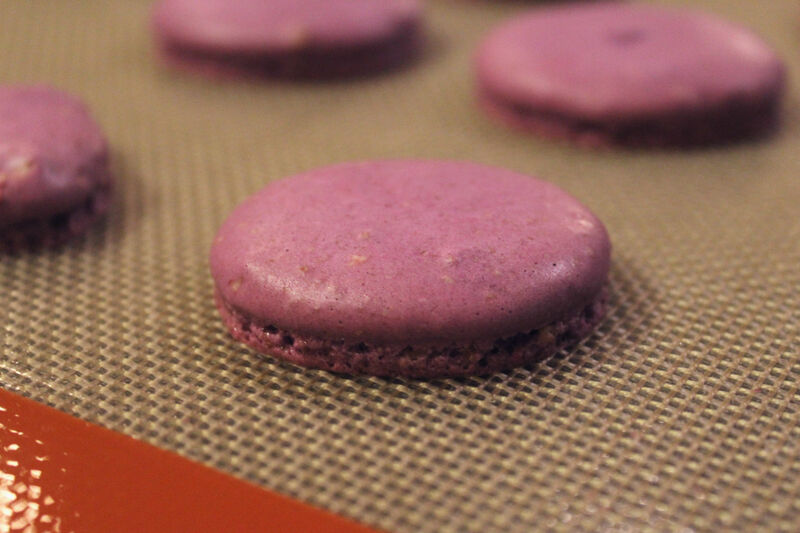 Nevertheless, I refused to give up and finally made perfect macarons on the third attempt (let’s not talk about what happened on the fourth). 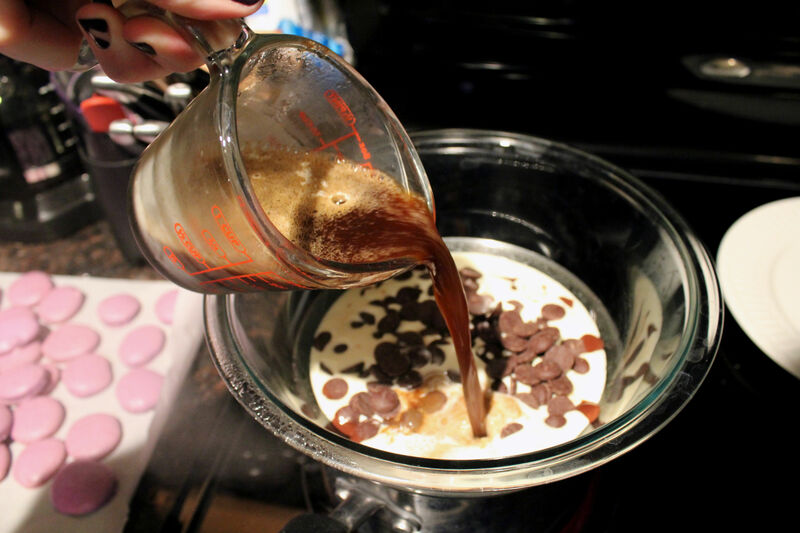 The end result was a chocolate filled dream. Clearly there is a moral here and the moral is don’t give up. I want to say thank you to all my followers for not giving up on me during this year with Drink and Spoon. 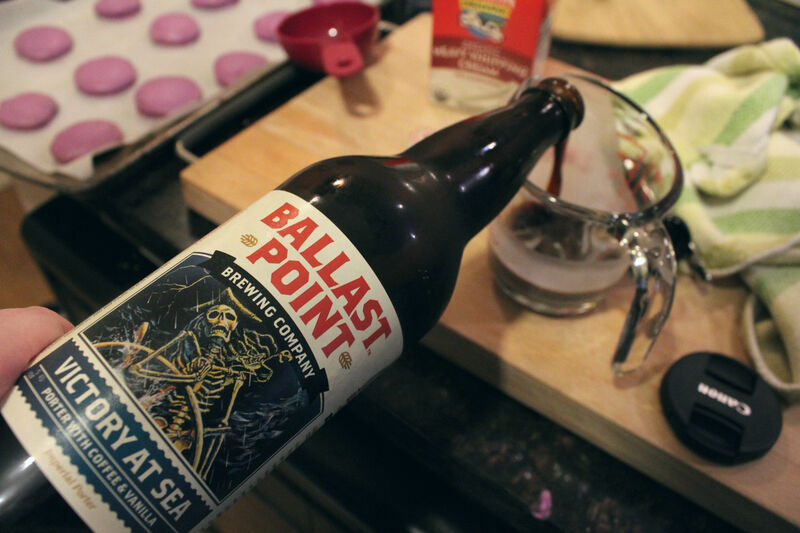 Like the first rounds of macarons, my first blog posts were messy and weird. The pictures were not good and half the time the recipes didn’t even include beer. Now, I can’t even belief some of the stuff I have been able to create. 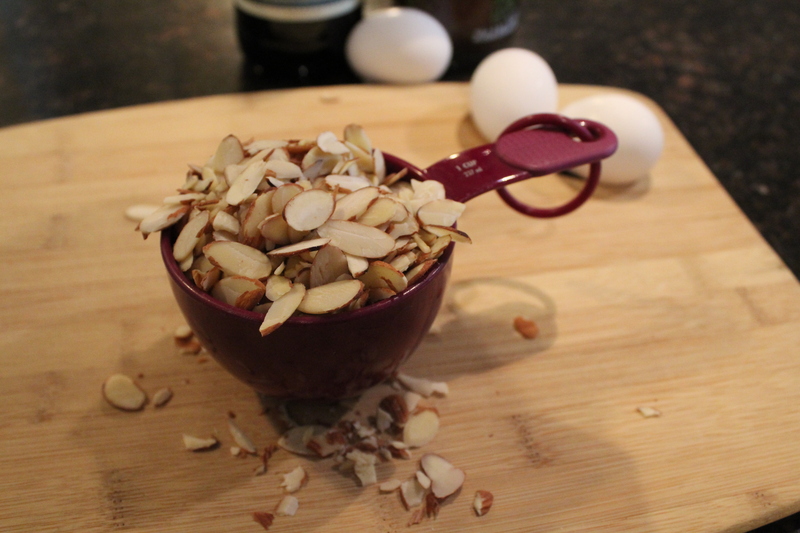 While there are still quite a few screw ups in the kitchen, Drink and Spoon has become something really great. Cheers to that. 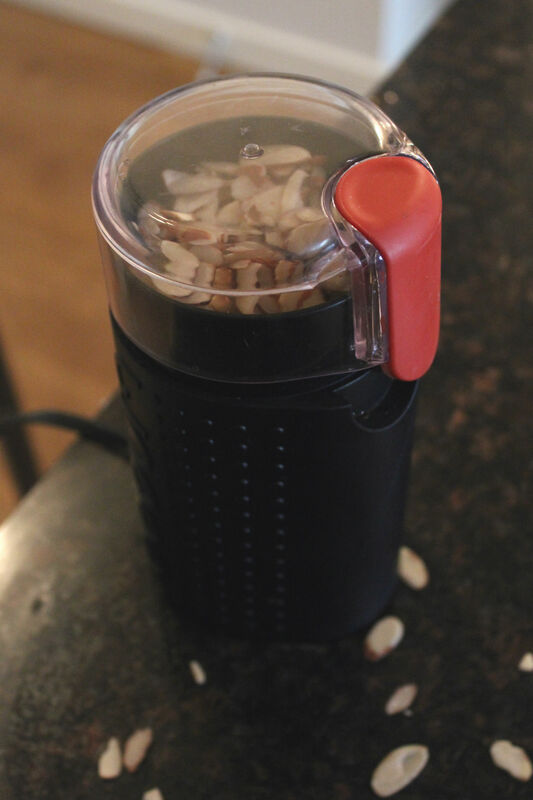 Using a coffee grinder or food processor, grind down a bunch of almonds until you get 1 ¼ cup of ground almonds. 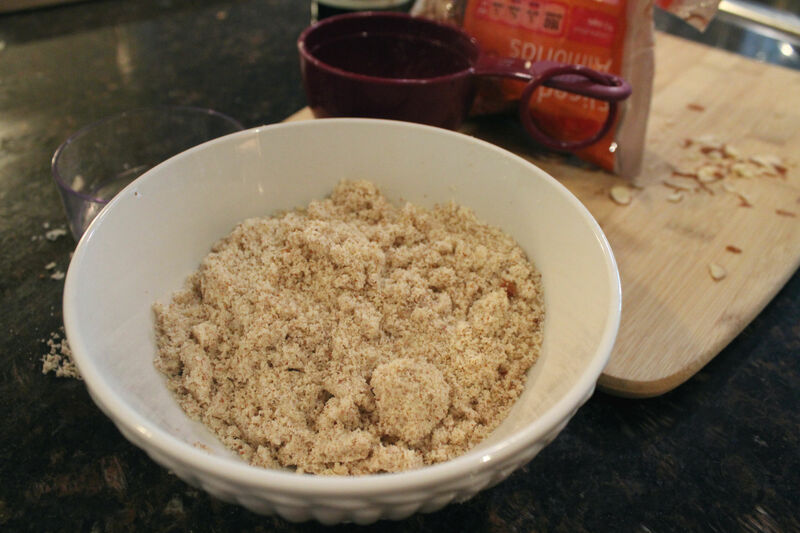 The fresh bag of almonds left me with a somewhat moist almond meal. 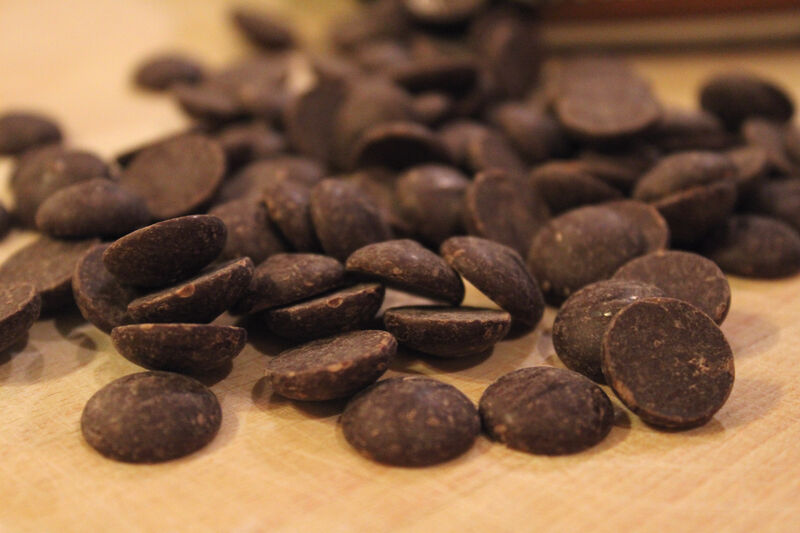 To help dry them out, I spread out the ground almonds on a baking sheet and popped it in a 300 degree oven for 5 minutes. 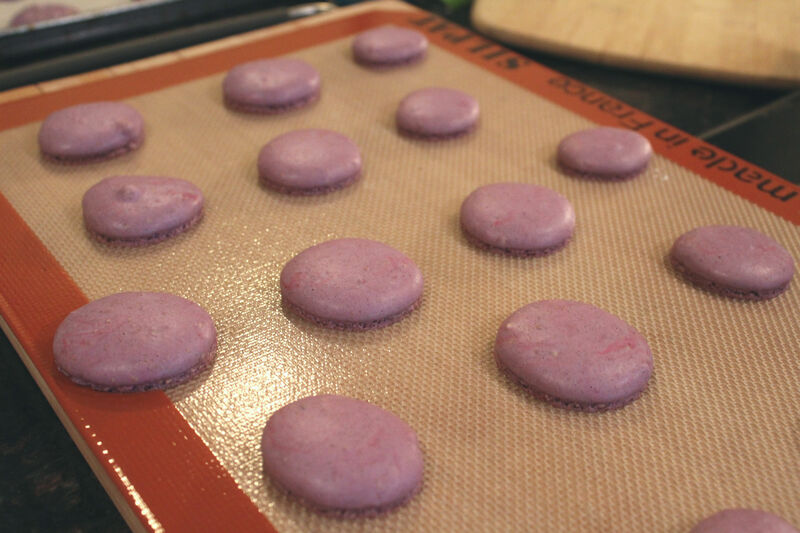 Moisture is the enemy of a macaron so you may need to do this if you’re having a similar problem. 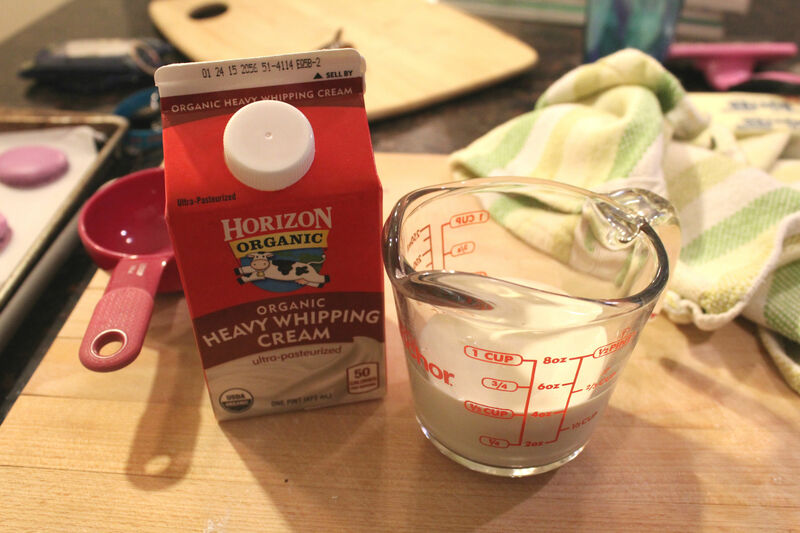 When the egg whites have reached room temperature (don’t get impatient), whisk them in a stand mixer or with a hand mixer for about a minute, until they become frothy. 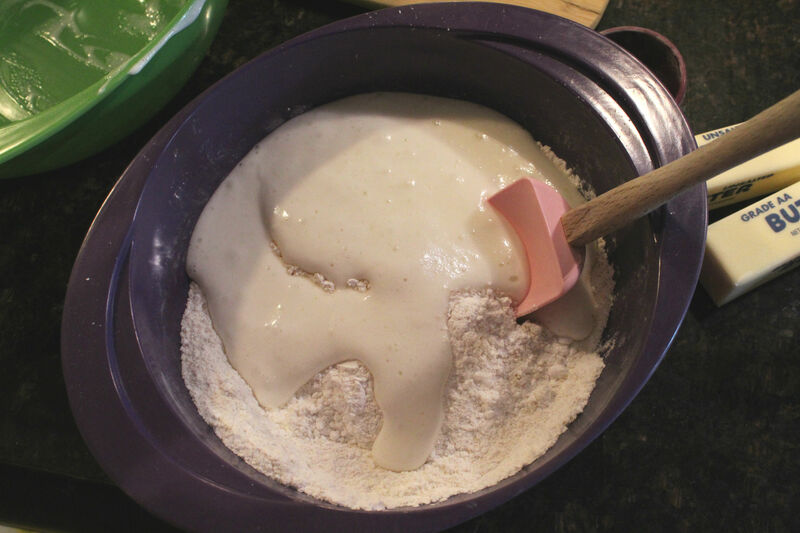 Slowly add in the granulated sugar while the mixer is going and beat until stiff peaks form, 3-5 minutes. 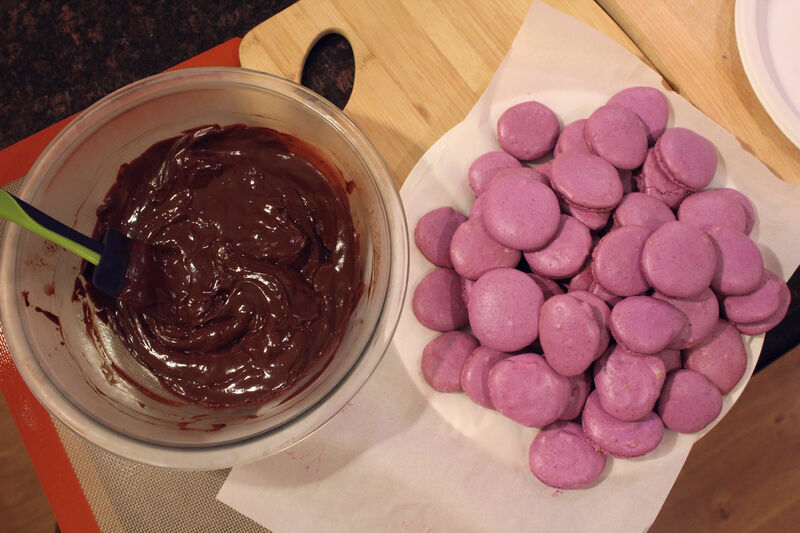 If you want to add food coloring, add it during this time. 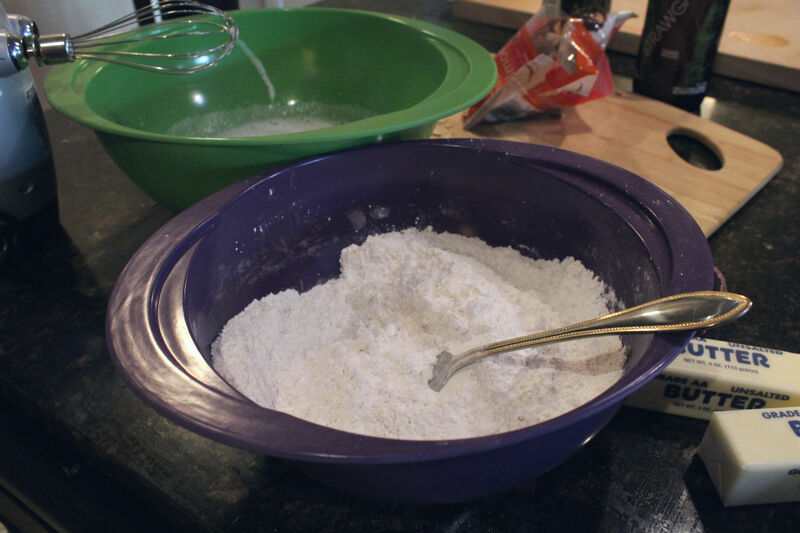 In a large bowl, mix together the almond meal and confectioner’s sugar, getting rid of any clumps. At this point, you can preheat the oven to 285°F (I tried higher and lower, this worked best). 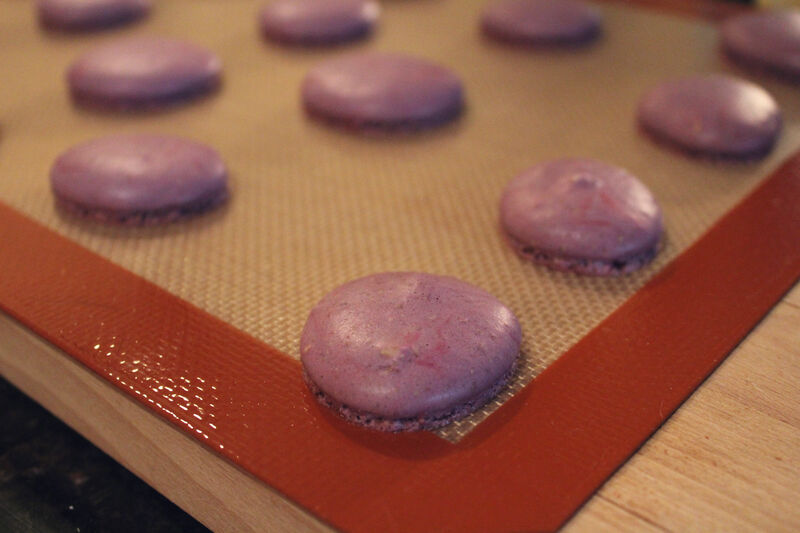 Line baking sheets (3 if you have them) with parchment paper or a silicone mat. Both worked just fine for me so use what you have. Pipe out 1 to 1 ½ inch circles around the sheet, separating them by an inch or more. Let the trays sit out on the counter for at least 15 minutes, until they lose their sheen. The first batch can sit out for 15 and the rest will sit out longer while they wait for their turn in the oven. 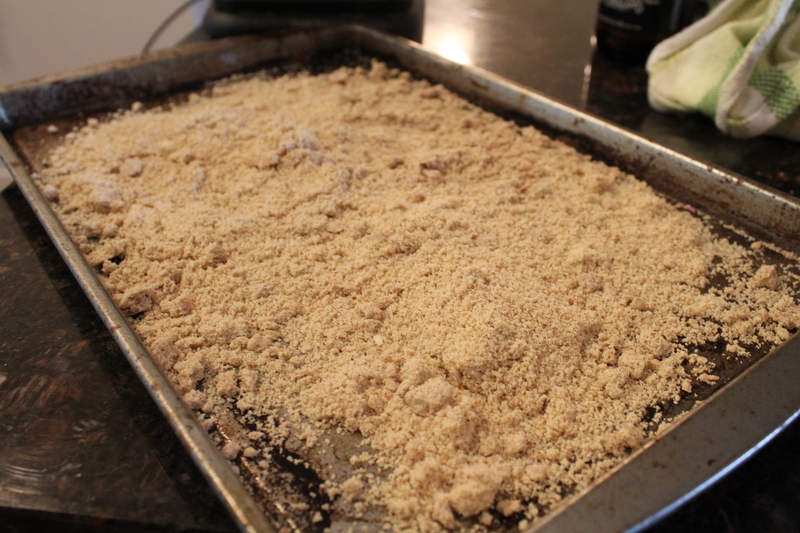 Pop the tray in the oven with the door slightly ajar – I used a metal spoon to help keep it cracked – for 15 minutes. This reduces the humidity. 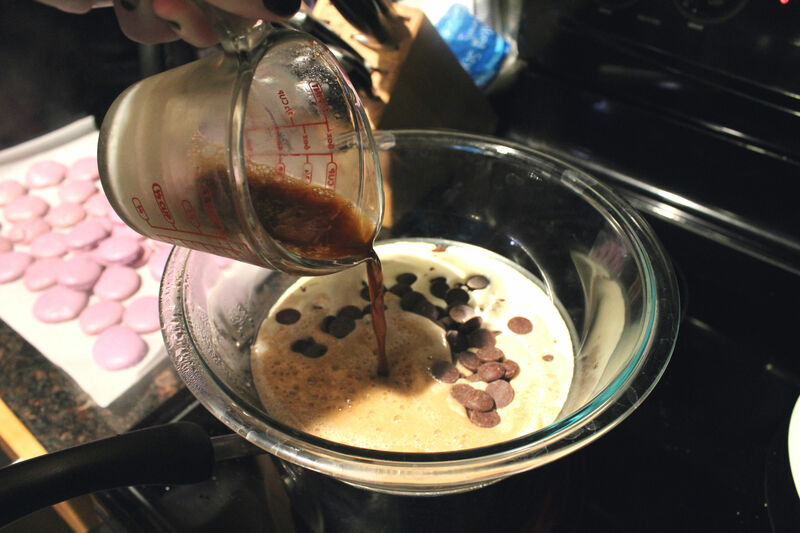 When they are finished, let them cool completely before filling. 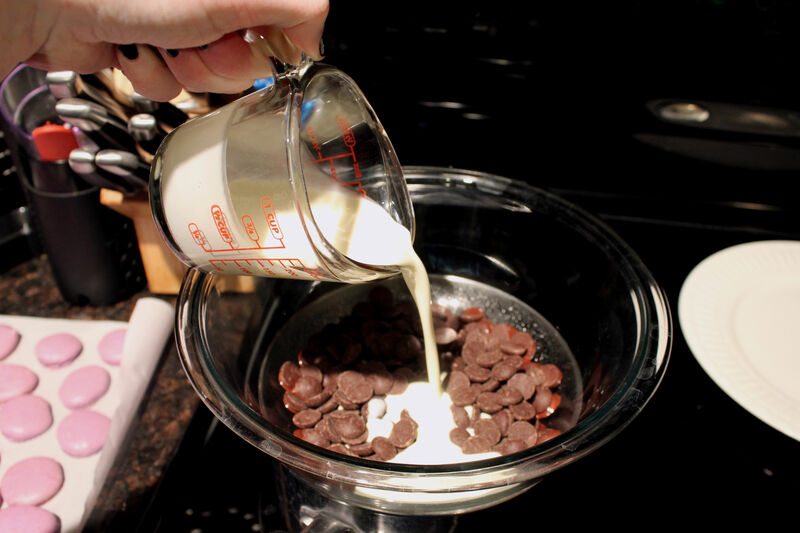 Boil a shallow pot of water and place a glass bowl on top. 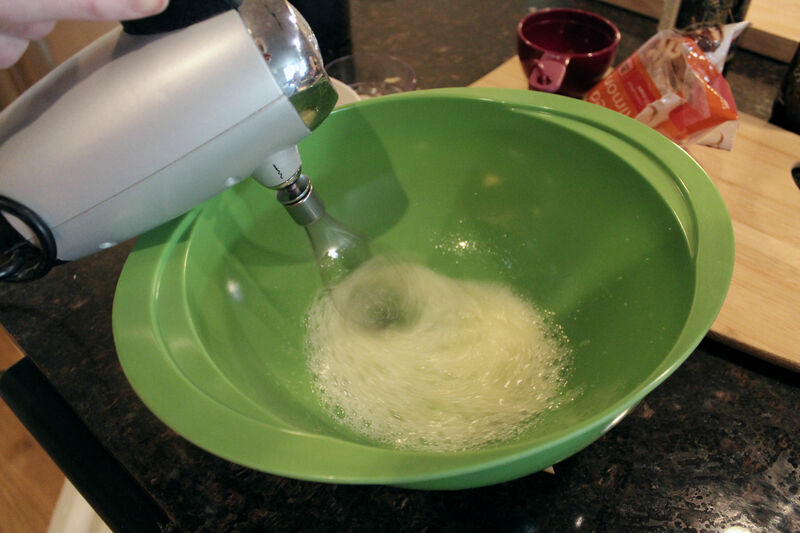 In the bowl, melt all of the ingredients together, stirring constantly. 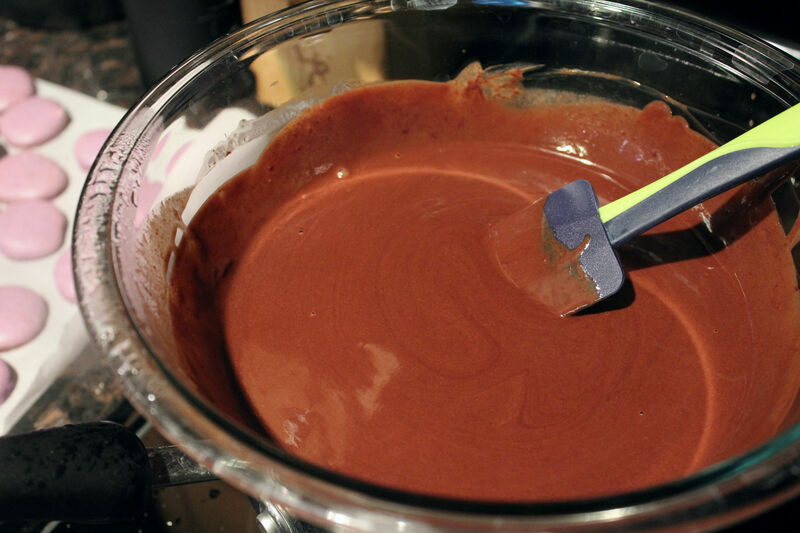 Once combined, allow the ganache to cool completely and become firm. Place the bowl in the refrigerator if you’re too eager to wait. 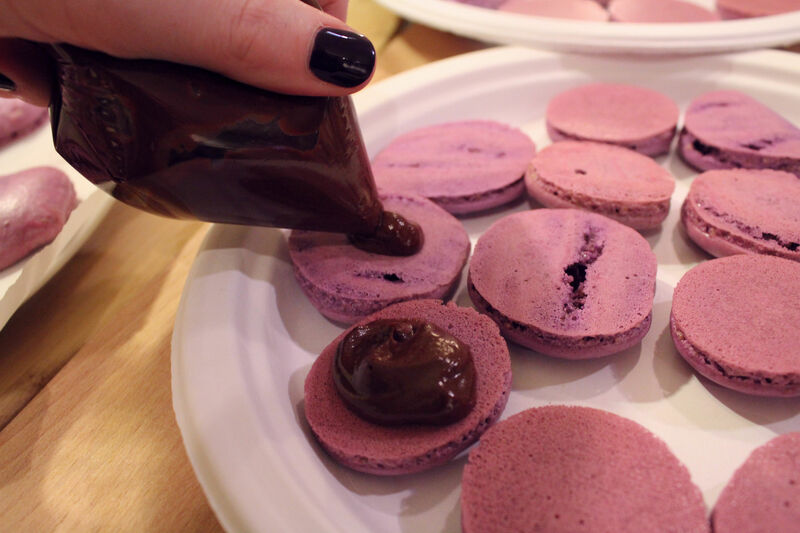 Use a piping bag to fill macarons and stack them together to make a colorful and cute cookie sandwich. Thanks darling! They are quite the fuss to make but soooo worth it. Previous Previous post: One Year Old!